Sale Sharks are happy to confirm that Sharks Junior Academy’s highly successful five members have graduated and they have signed professional contracts with the club before the season of 2017/18. The five members who completed their graduation are Sam Moore, Luke James, Matt Sturgess, Nic Dolly and Arron Reed; they all have signed the deal of five-years with the Sharks. Steve Diamond seeks to crop the rugby players of next generation following in the footsteps of the Curry brothers. Academy Manager, Brendan Thomas, said: “The players are one of the sturdiest age-groups that our system has produced, and this was established when in February, the side made for the Finals Day. index, September 1, 2017. Category: News, Sale Sharks Videos. Tagged: Premiership, rugby, Sale. Sale Sharks has been going great guns. They are being taken over by a new management that will hopefully invest new funds and help the team to reach top position in rugby across the continent. 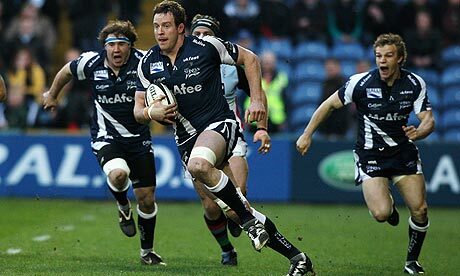 Sale Sharks has some great players on the team. George Nott is one such player who played a key role in the Under 20 championship of the country. The launch of the championship tournament was in style thanks to players like George Nott of Sale Sharks. index, August 12, 2016. Category: Sale Sharks Videos. Tagged: Mark, Oyonnax, Premiership, rugby, Sale, Sharks. Steve Diamonds, the boss of the Sale Sharks team, is understandably happy that the team was able to beat their opponent team Newcastle and was able to secure a place in the European league. There are pictures all over the forums and blogs that detailed the match held between these two clubs. Joe Ford was a key player who kicked the right penalties that helped his team to beat Newcastle. index, June 6, 2016. Category: Sale Sharks Videos. Tagged: Premiership, rugby, Sale, Sharks. admin, April 18, 2015. Category: Sale Sharks Videos. Tagged: Highlights, London, Premiership, Round, rugby, Sale, Sharks, Welsh. Aviva Premiership Rugby Football Union club the Sale Sharks have announced the signing of Samoa international flanker TJ Ioane on a short term deal until the end of the season. The 25 year old Samoan had been plying his trade with the Highlanders of the Super Rugby XV and playing provincially for Otago since 2011 and his transfer could be seen as a sort of a coup for the English club as several clubs were reported to be interested in signing him. index, January 29, 2015. Category: Sale Sharks Videos. Tagged: Premiership, rugby, Sale, Sharks.